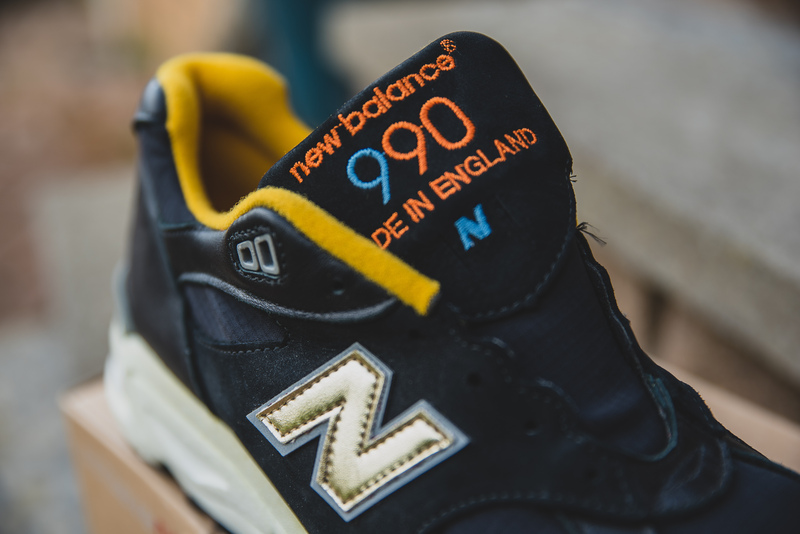 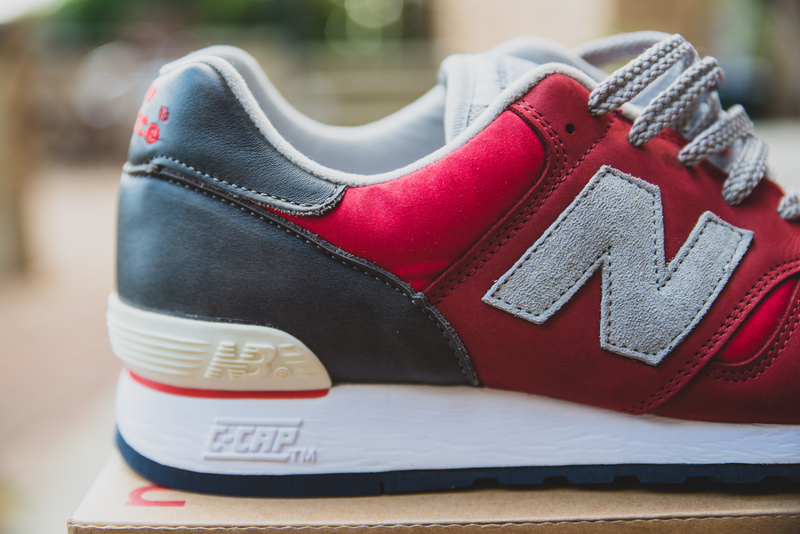 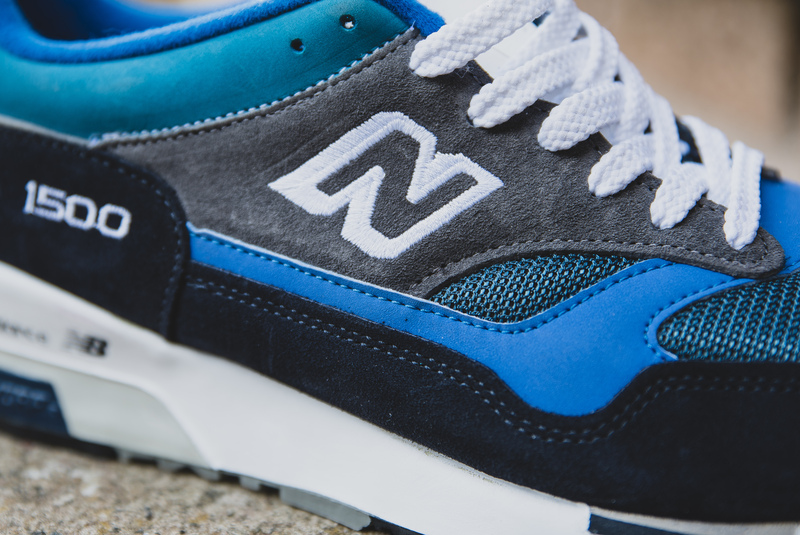 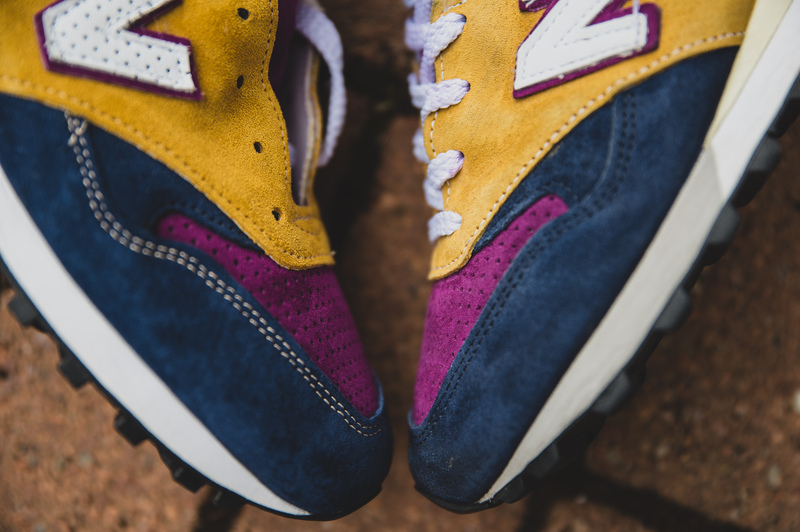 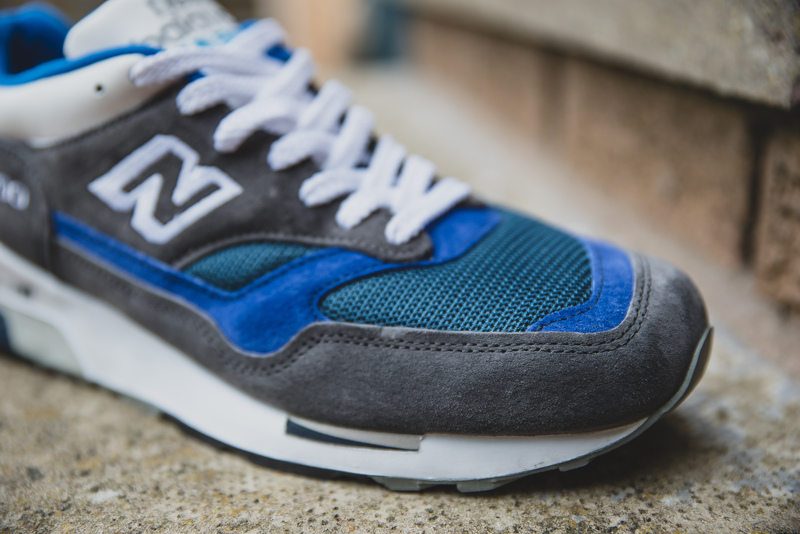 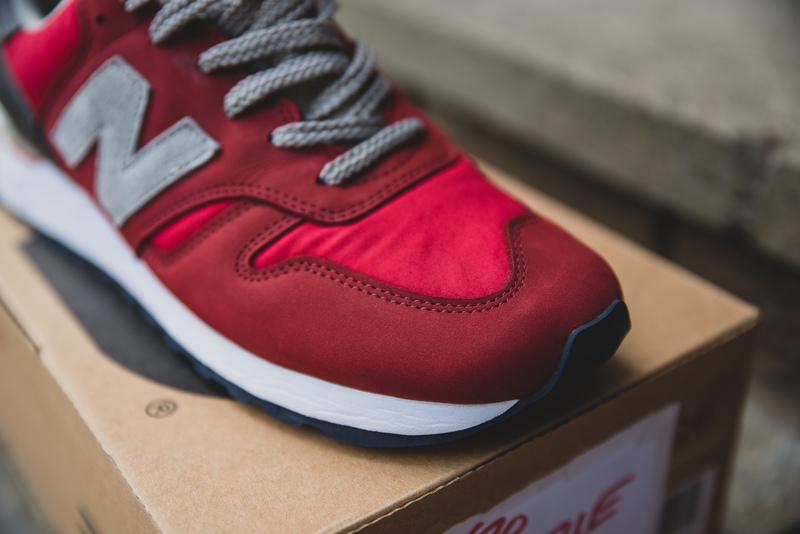 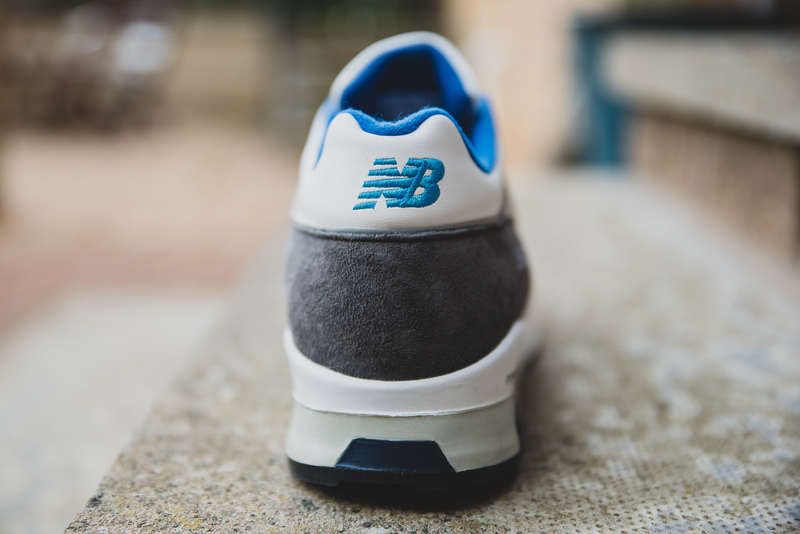 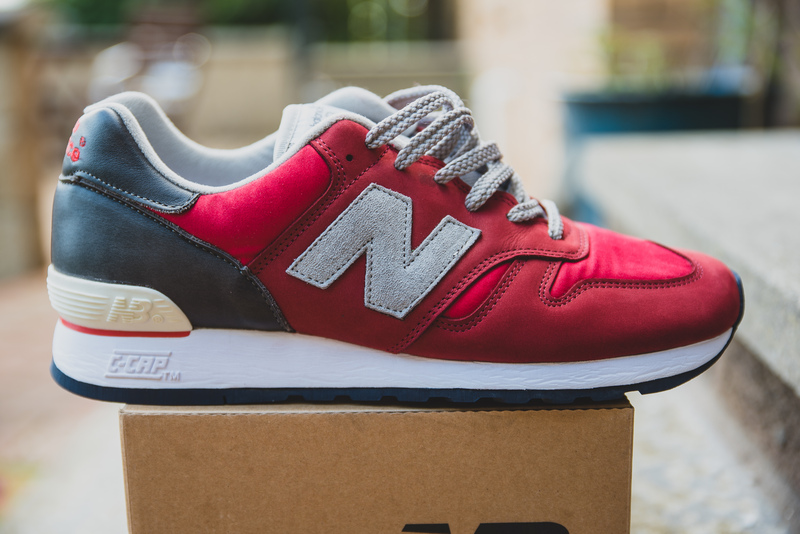 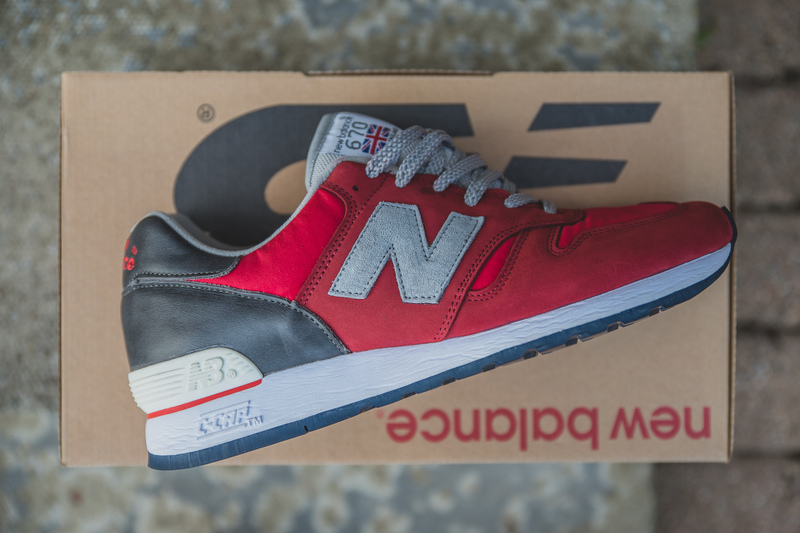 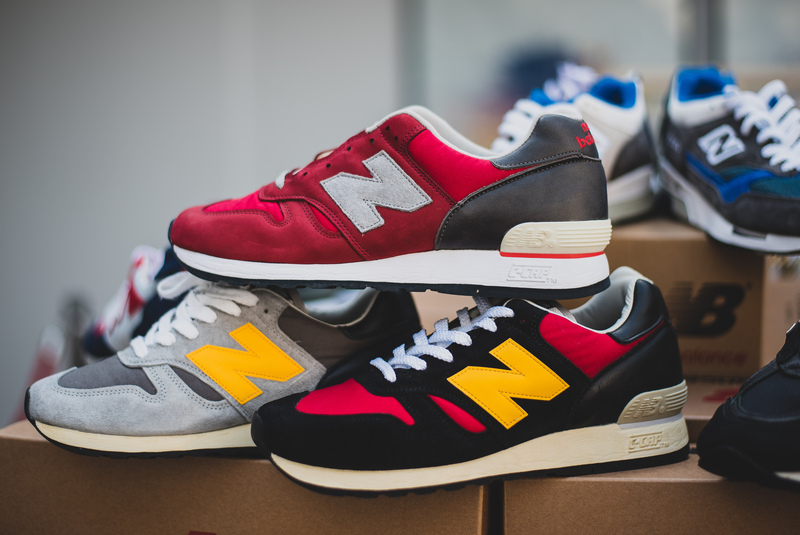 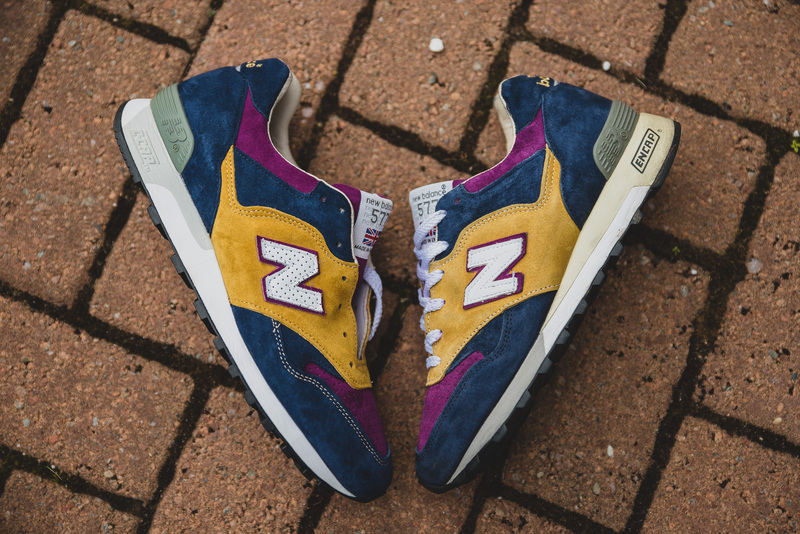 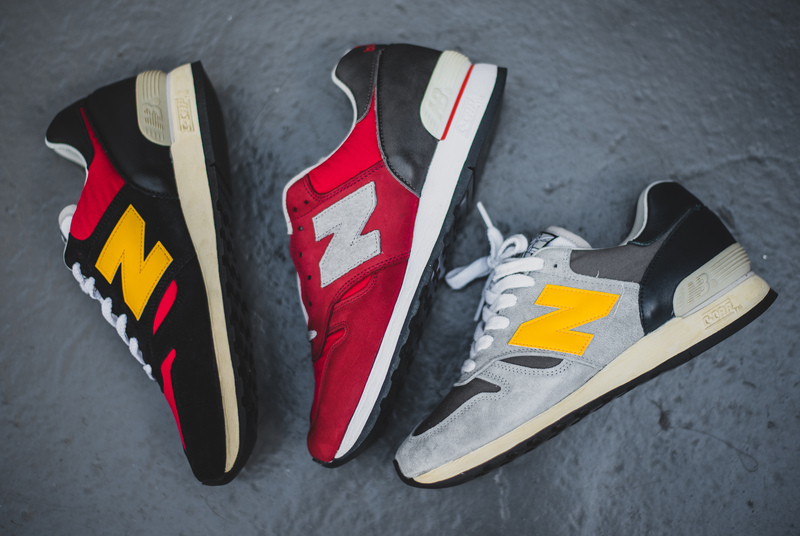 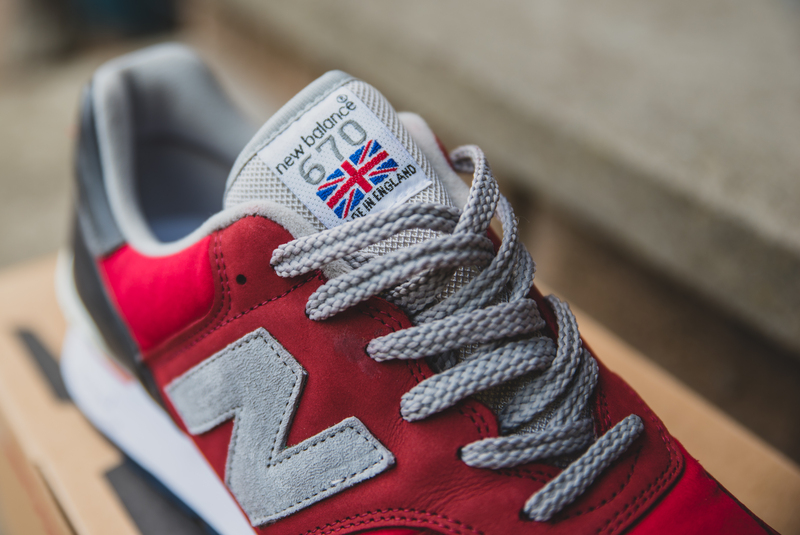 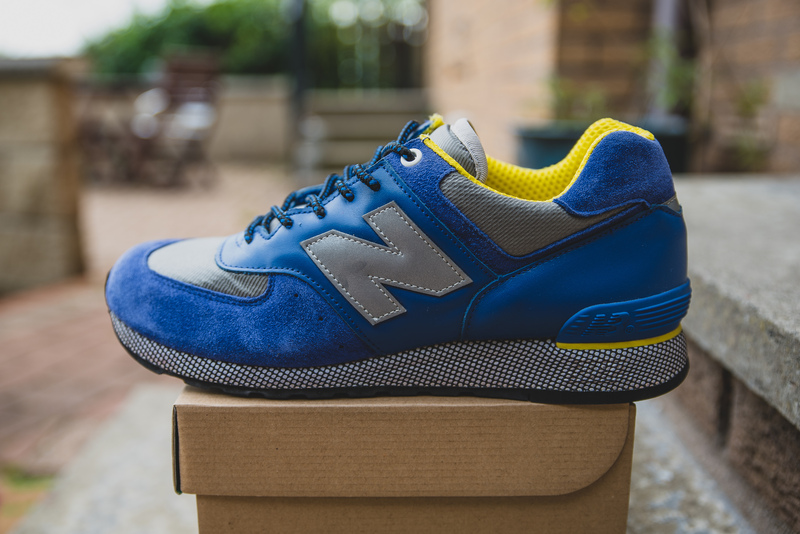 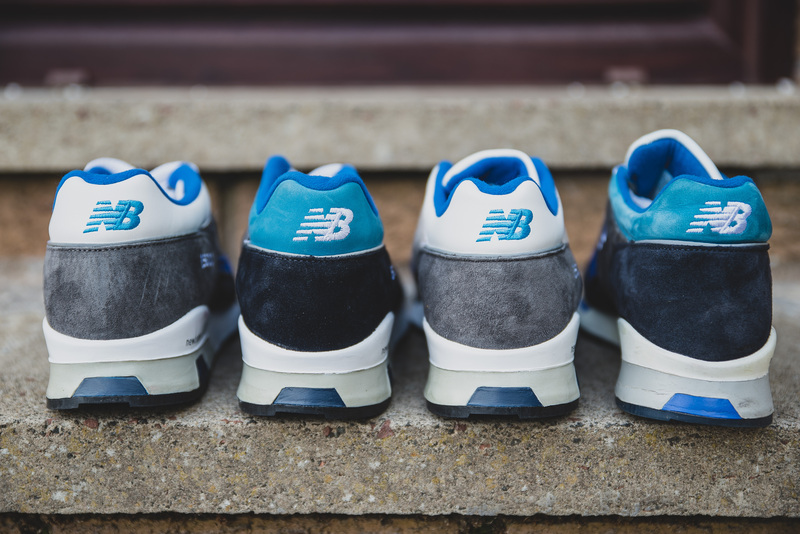 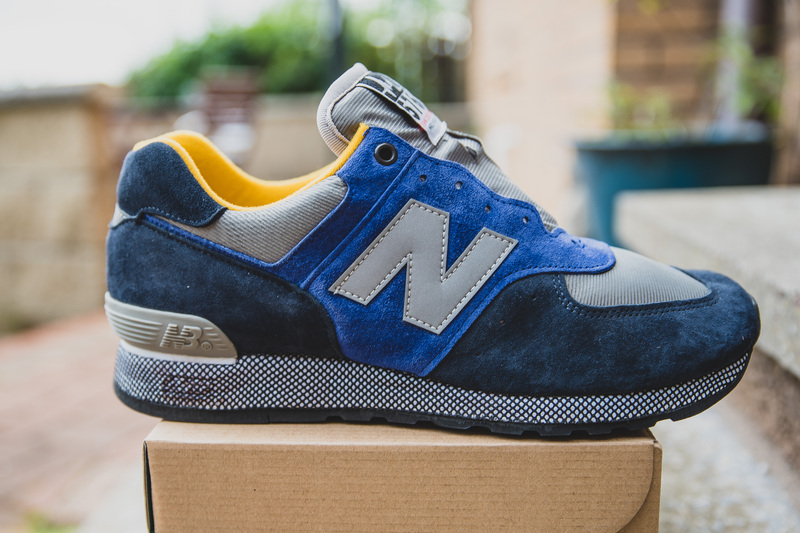 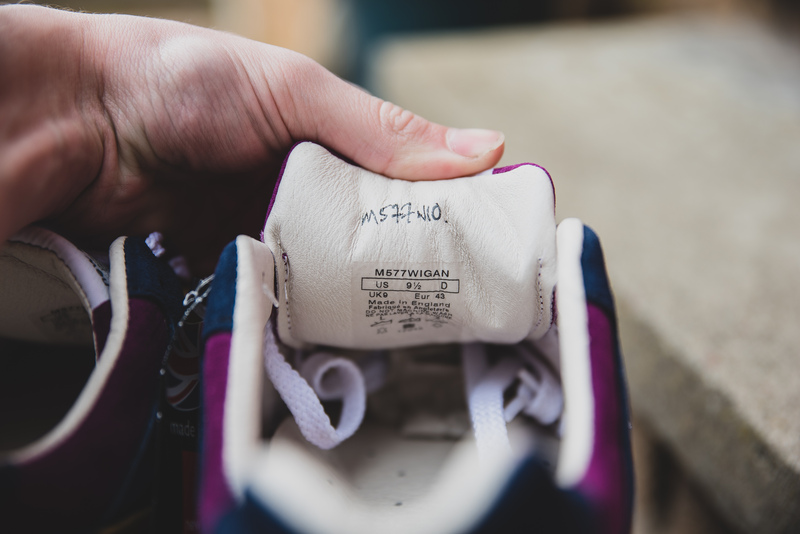 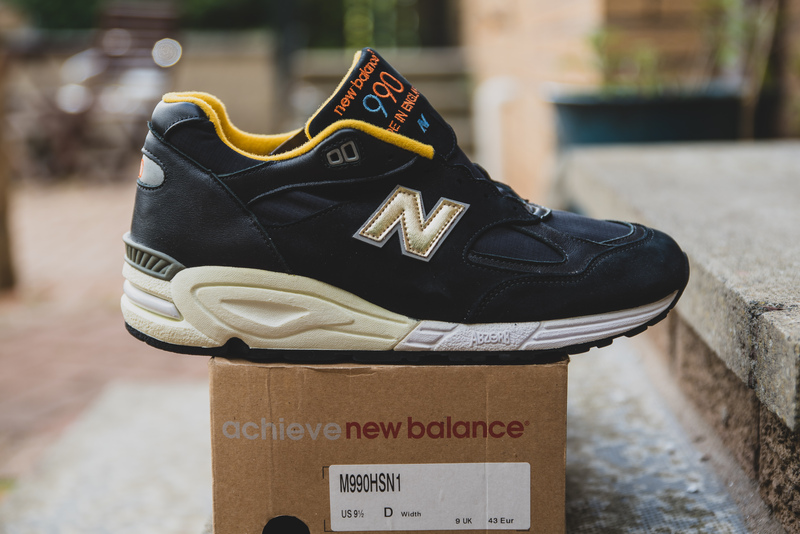 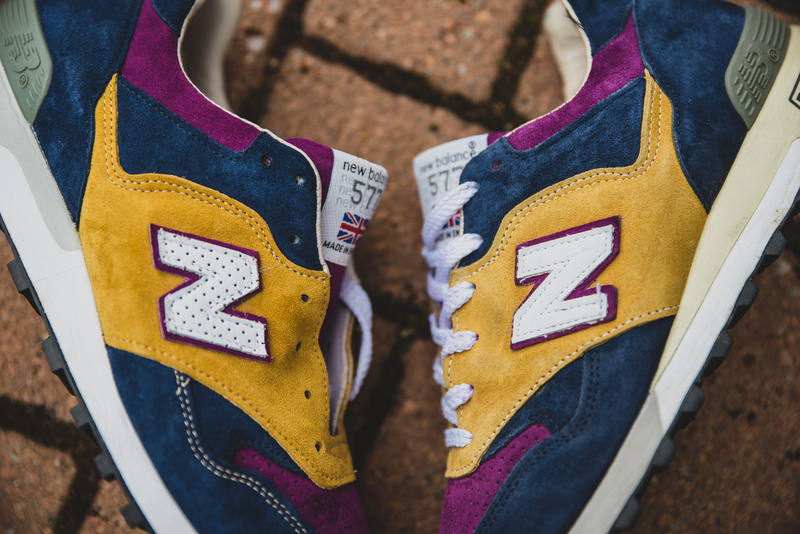 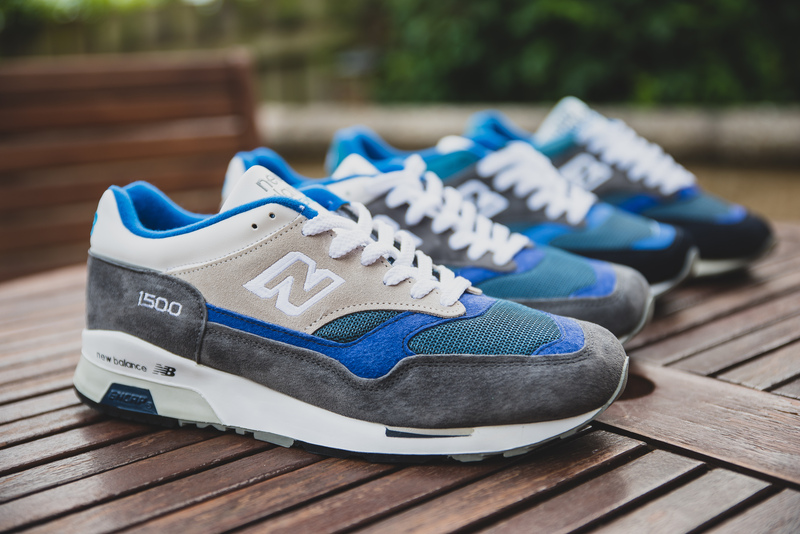 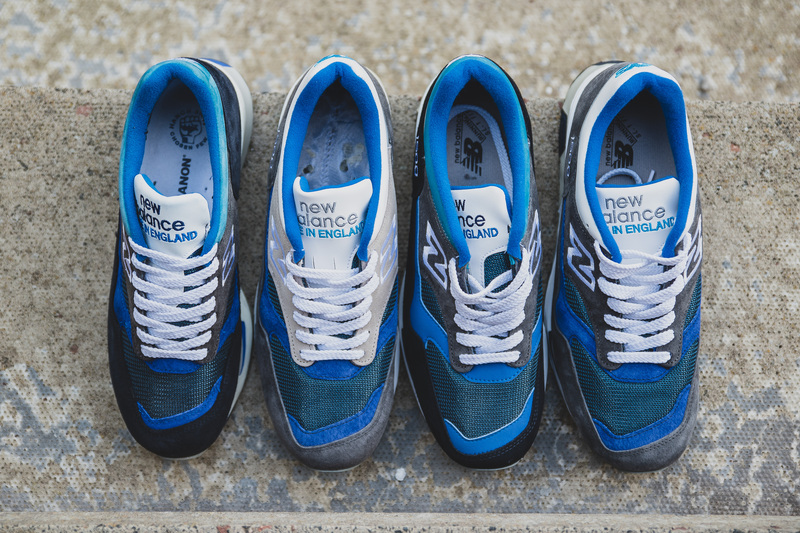 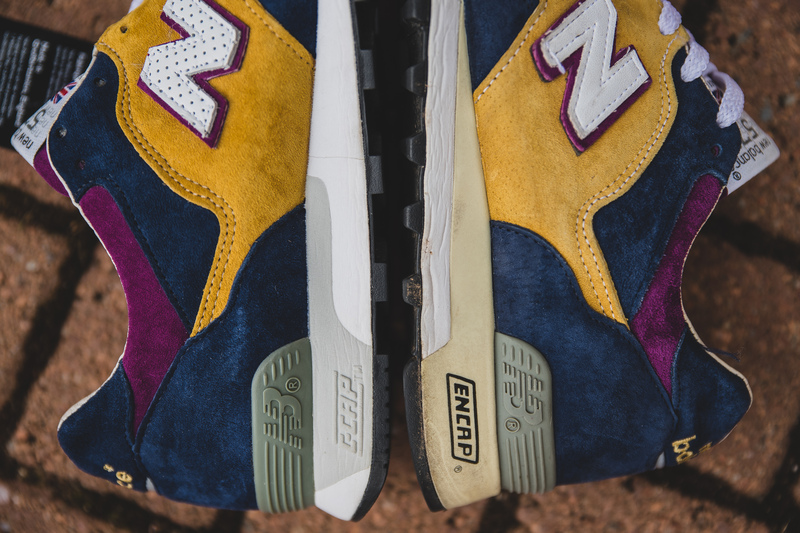 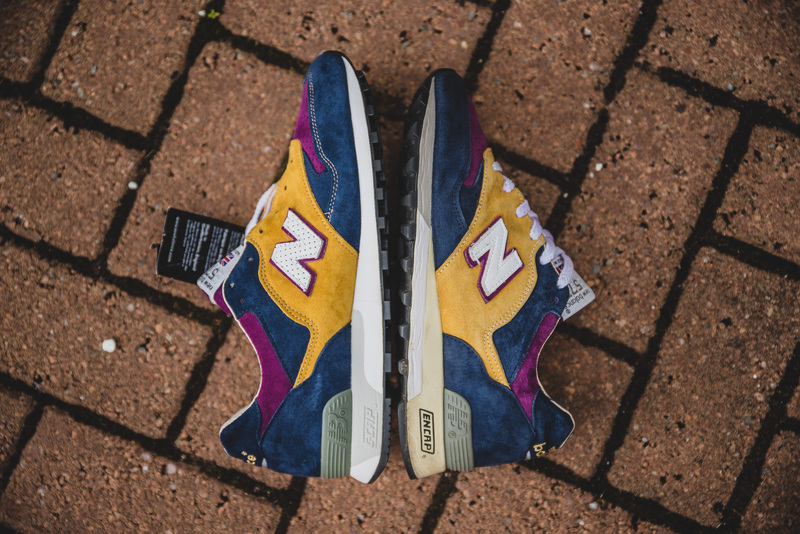 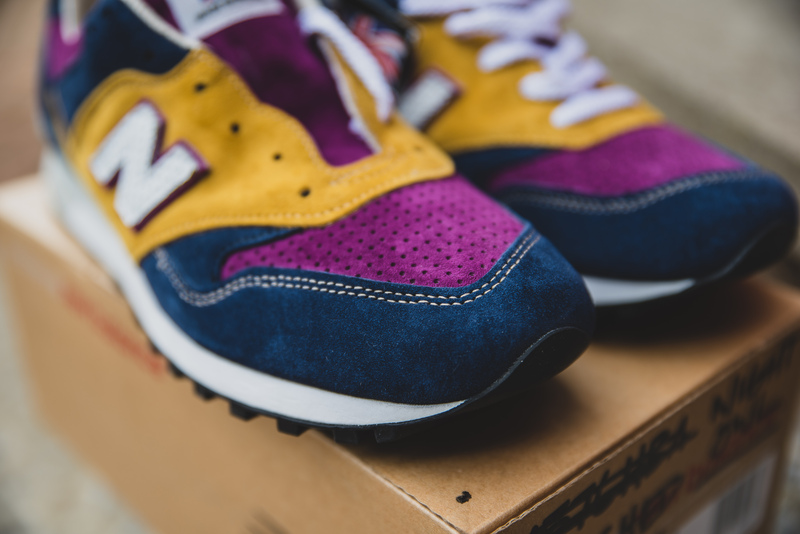 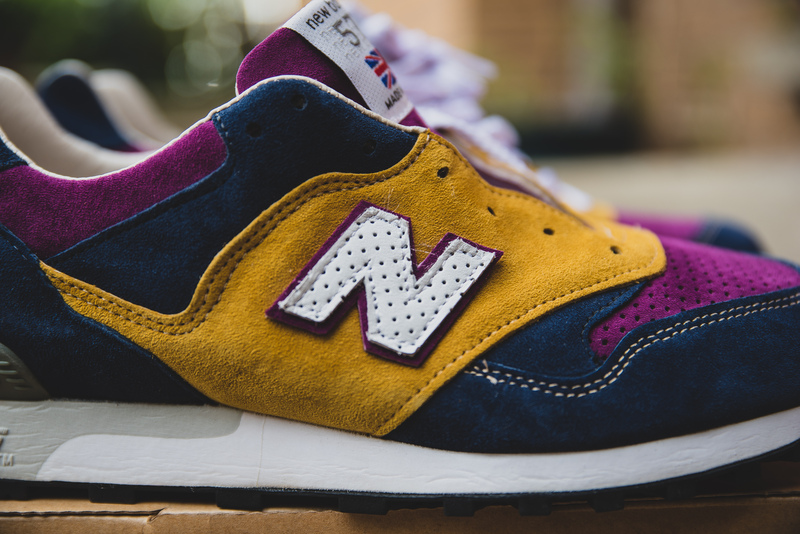 Following on from the NB Gallery exhibition at SoleBloc, we were lucky enough to have a full collection of hanon shop’s collaborations with New Balance, which also included a number of samples which never had been seen before by people outside of hanon and NB. 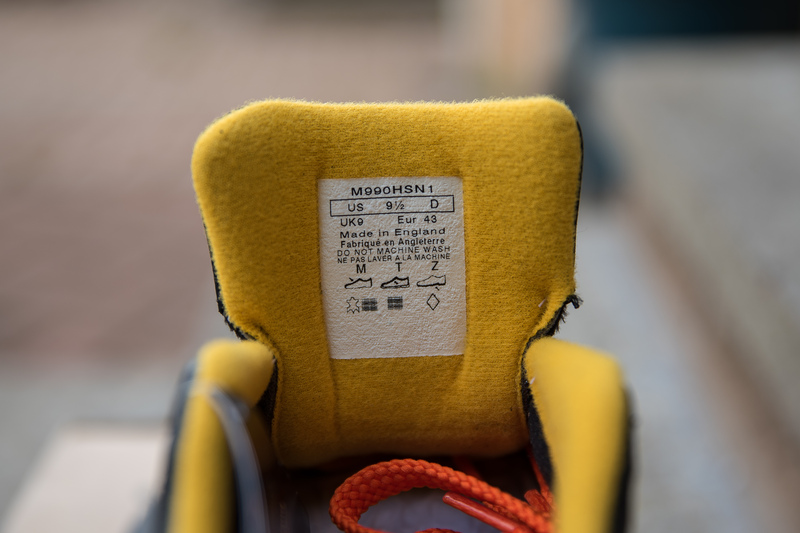 This opportunity was too good to waste, so I have taken a number of images, which also includes comparison shots with the released pairs, and detailed shots of some differences. 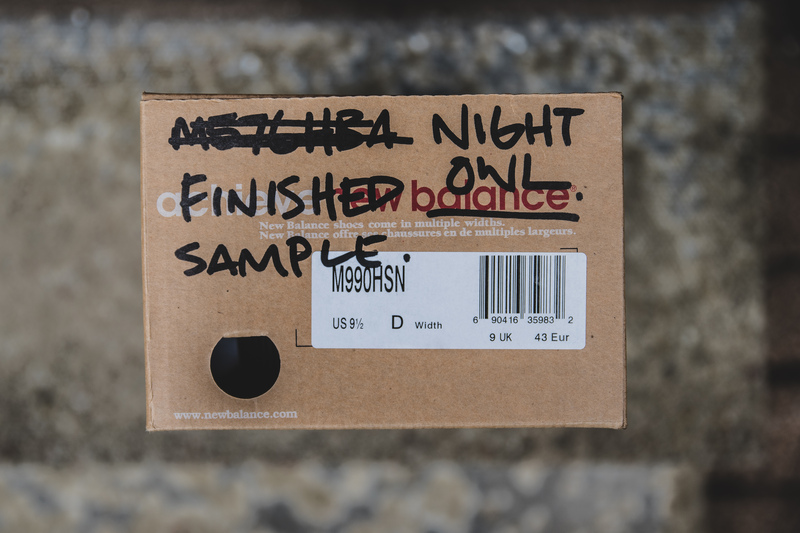 A huge thanks to Ed @ hanon, for lending me the samples for the exhibition. 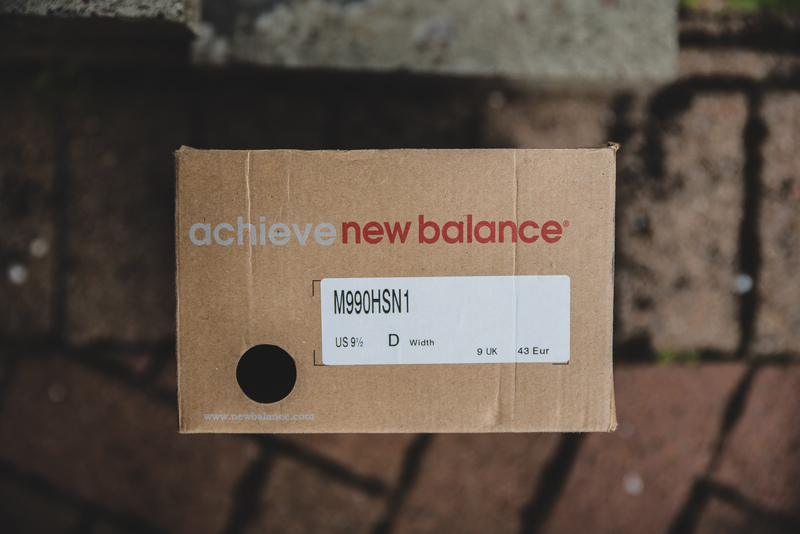 Perforated ‘N’ on sample pair. 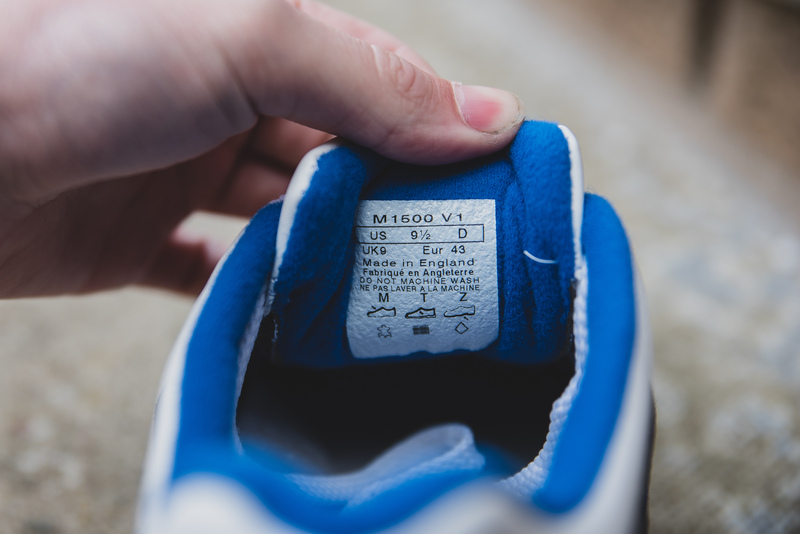 Contrast stitching on sample pair. 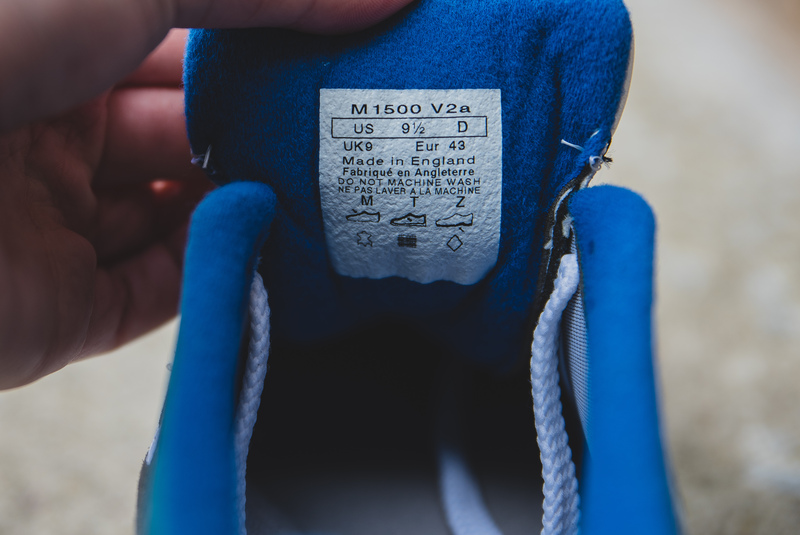 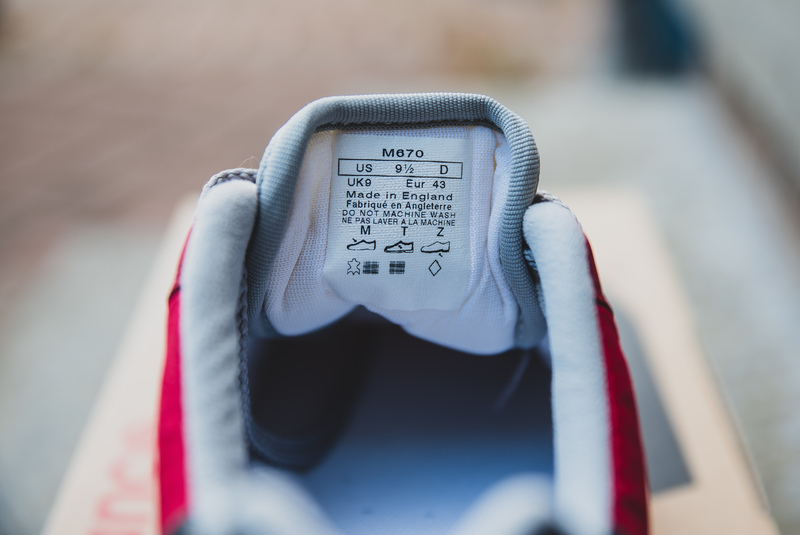 C-Cap midsole on sample pair rather than Encap midsole. 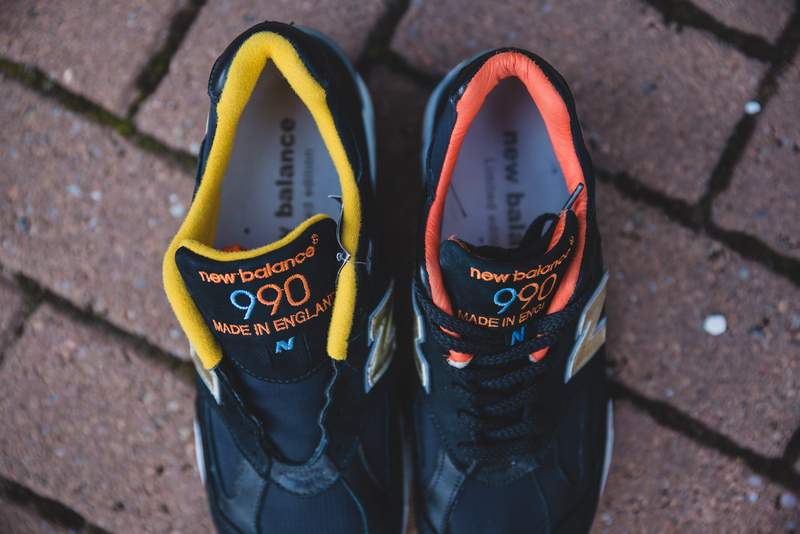 There is only one difference between these two pairs, and that’s the use of the golden colour on the sample, rather than the orange used on the released. 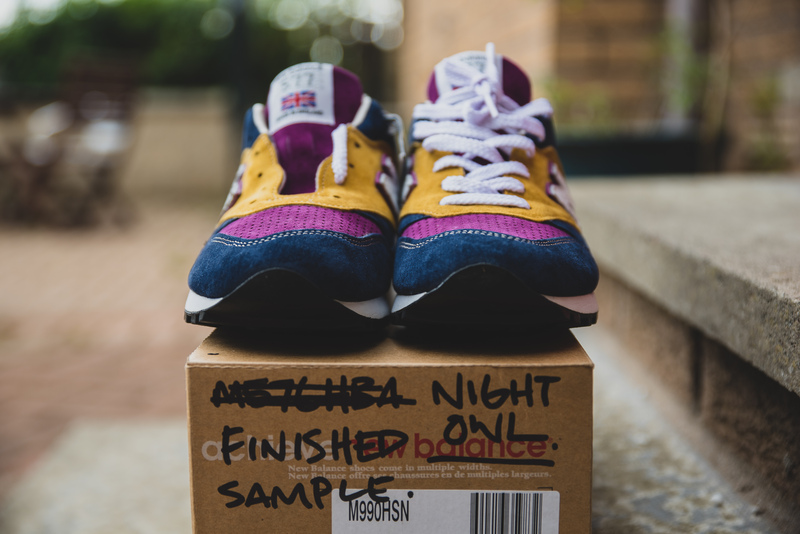 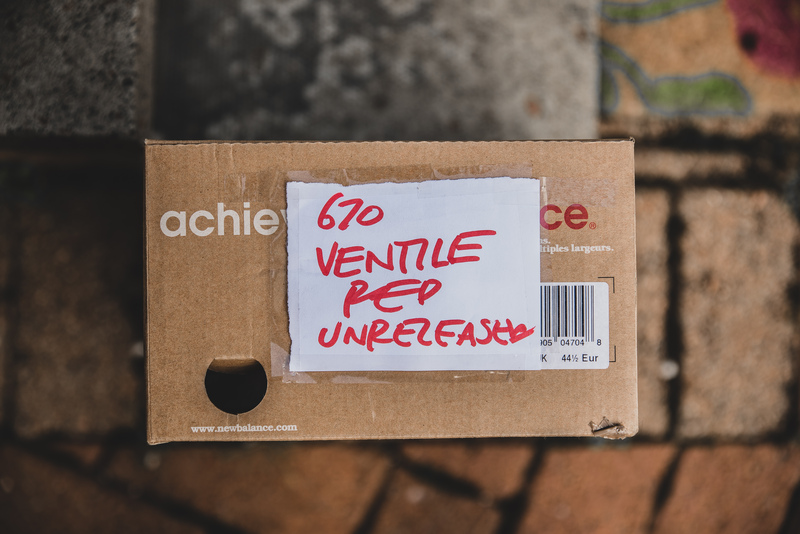 Now, this shoe is my favourite sample from the lot, and it might actually be one of my favourite shoes I’ve ever had in hand. 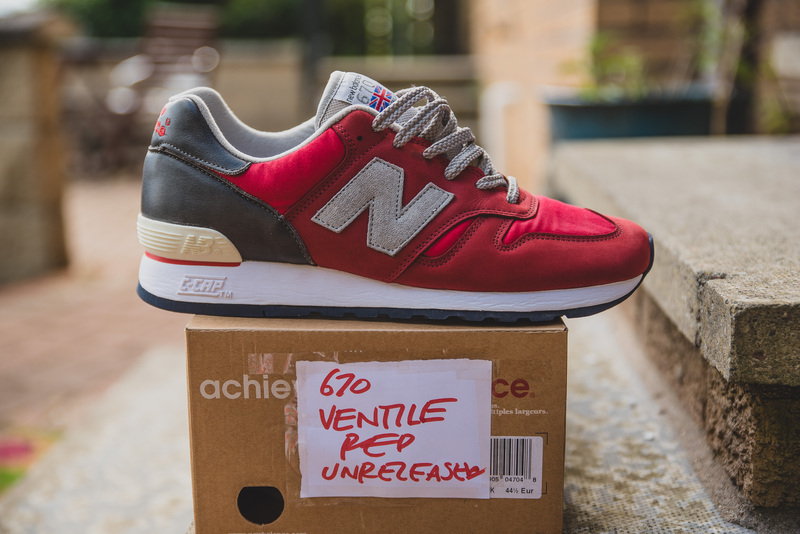 It is unreal, even these images don’t do it justice. 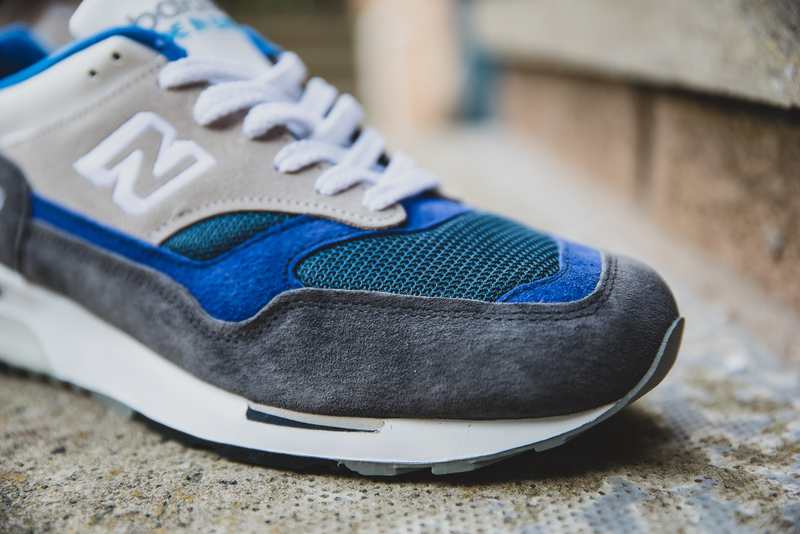 As you know, hanon release two Ventile shoes as part of the ‘Flying Club Pack’, and this pair was a sample from that run, but as you can see, it has a number of differences, such as the big grey suede ‘N’, the use of nubuck on the upper, and grey midsole. 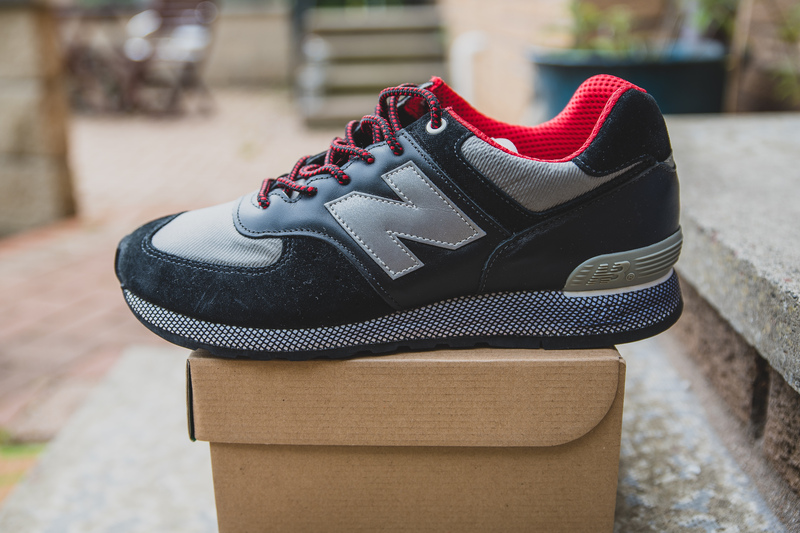 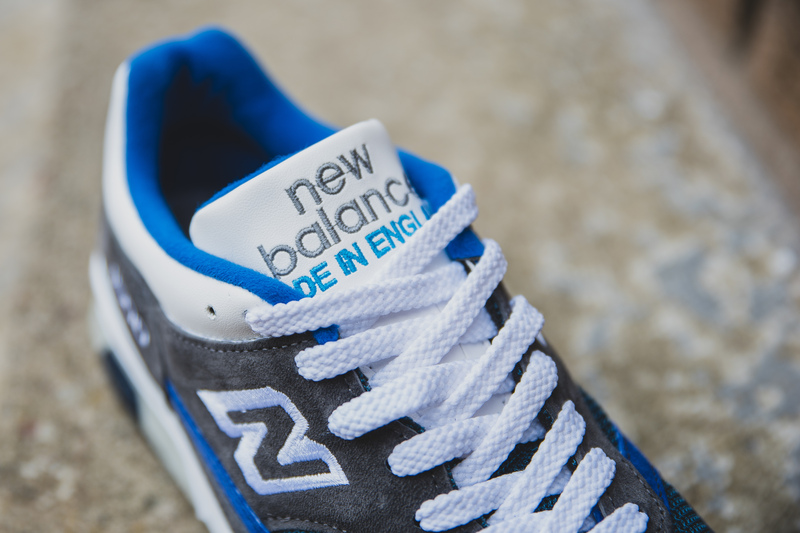 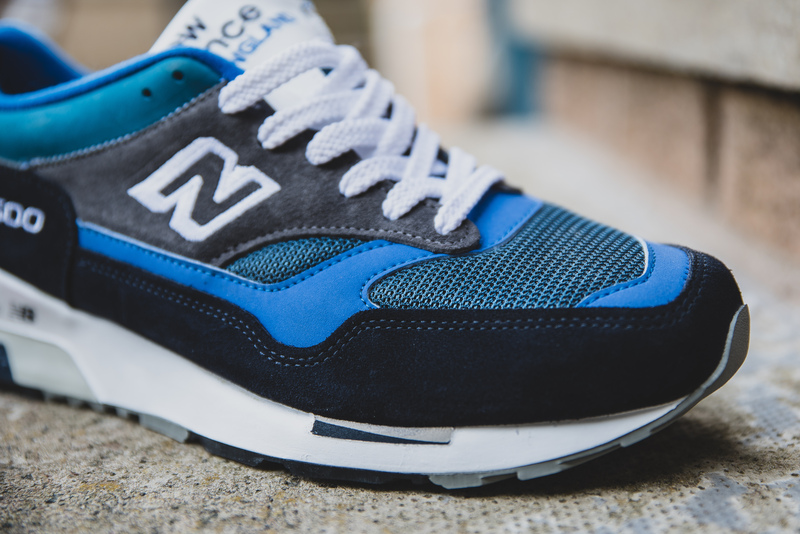 New Balance and hanon came together with Eschler to create two shoes as part of the ‘Bionic Majors’, but if these samples are anything to go by, it seems like they had a lot of messing around before arriving at the released pairs. 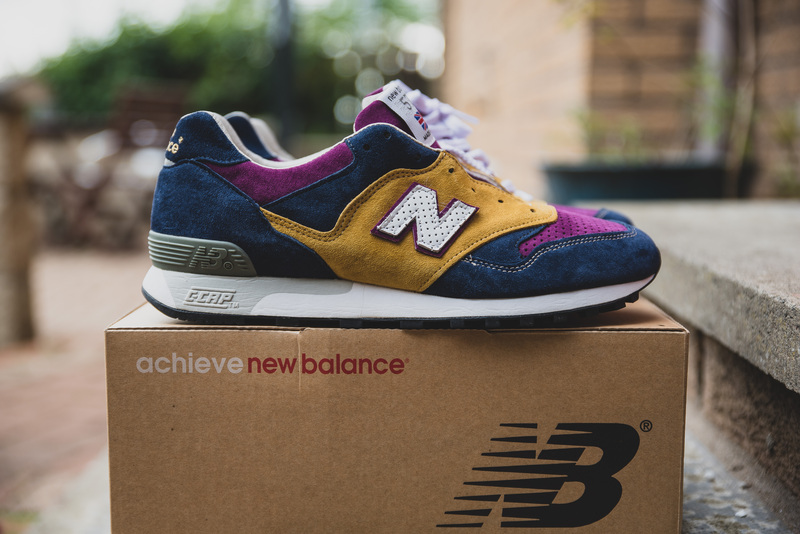 Some unusual materials, and colourways here, but pretty cool and unique in their own way. 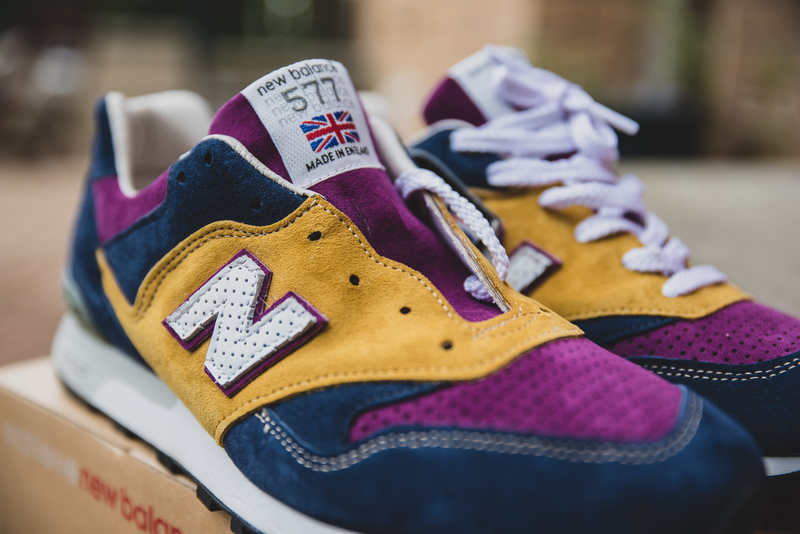 The grand finale, so to speak. 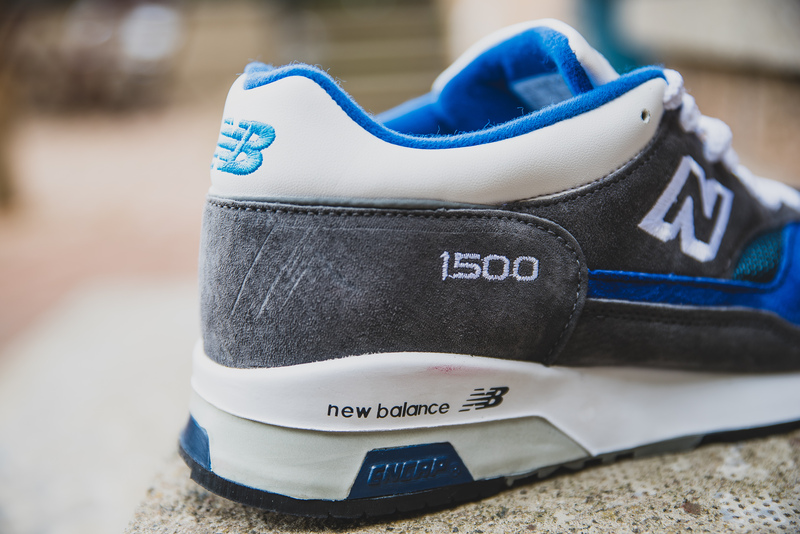 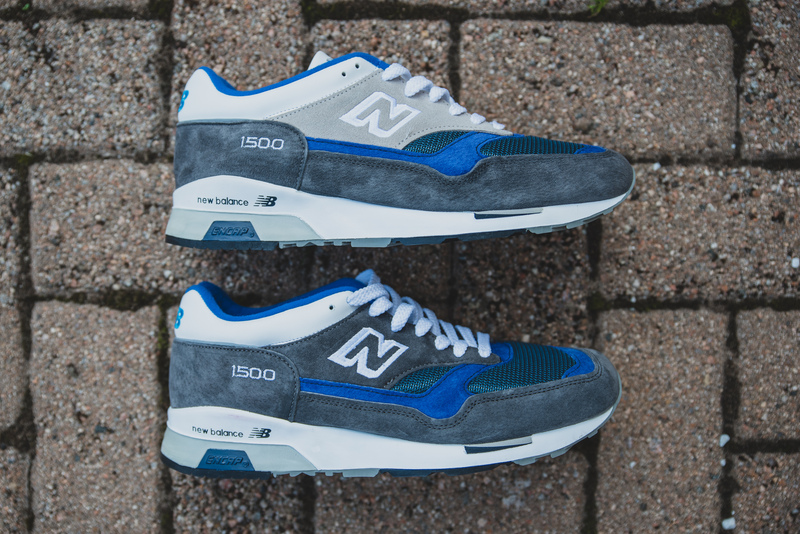 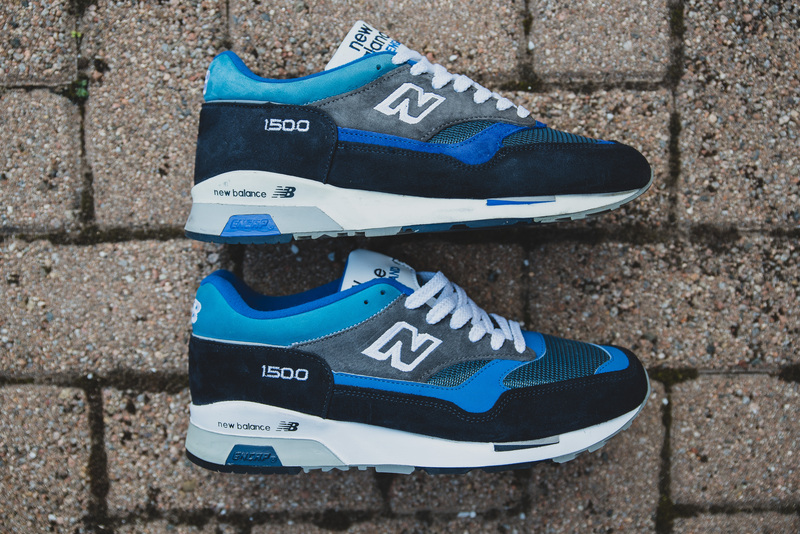 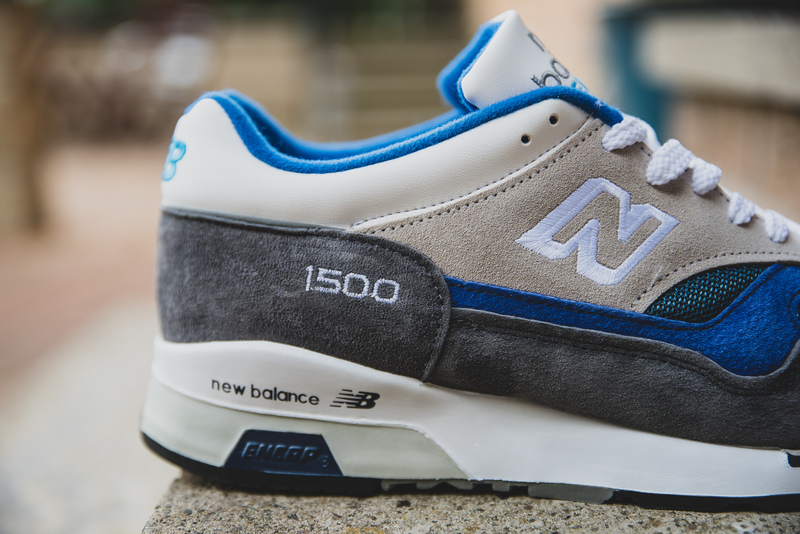 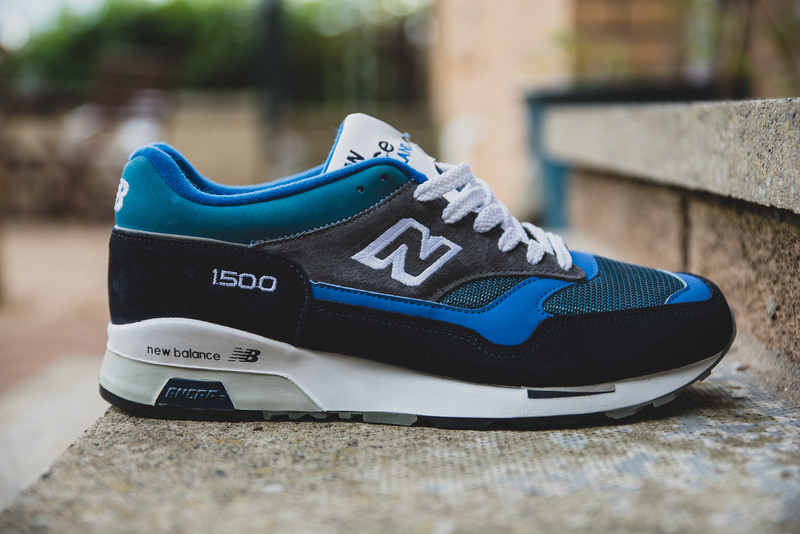 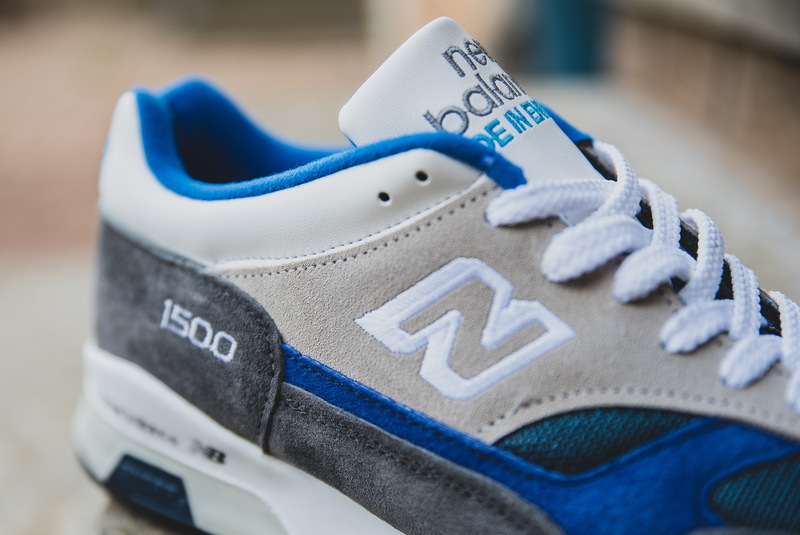 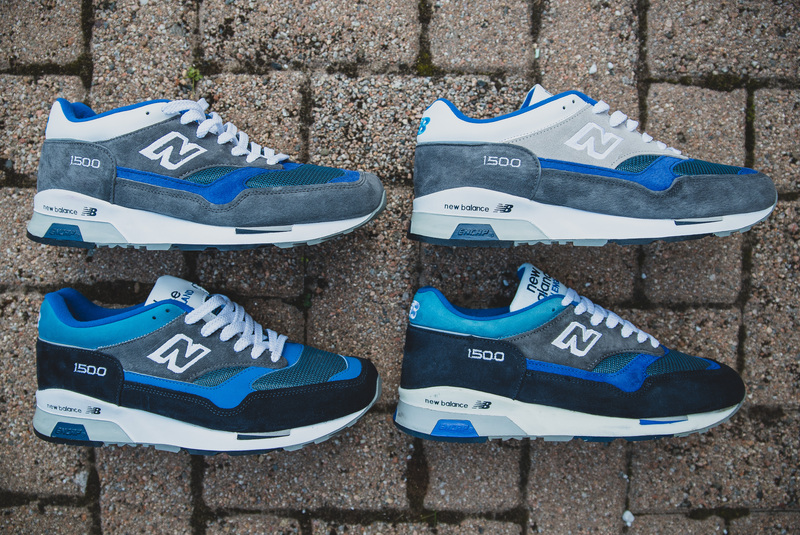 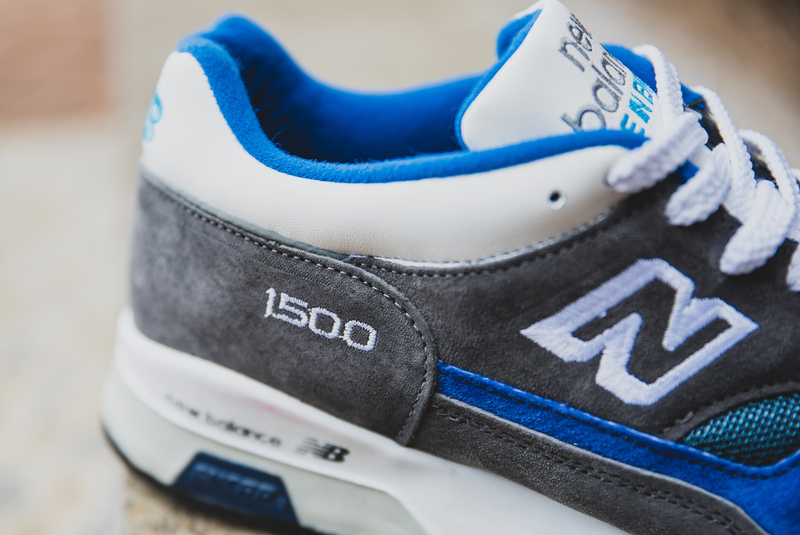 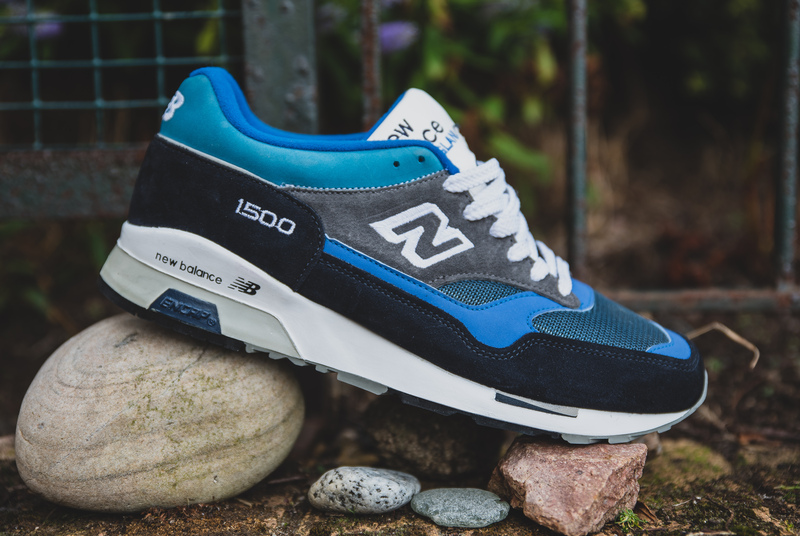 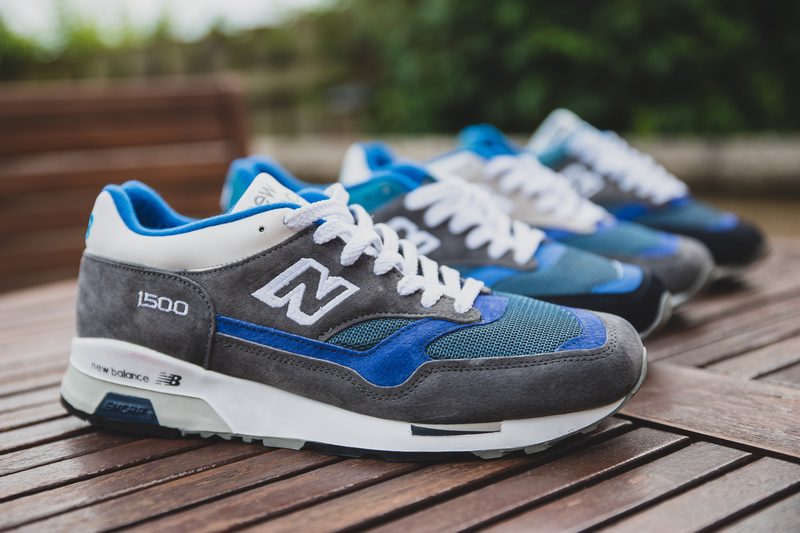 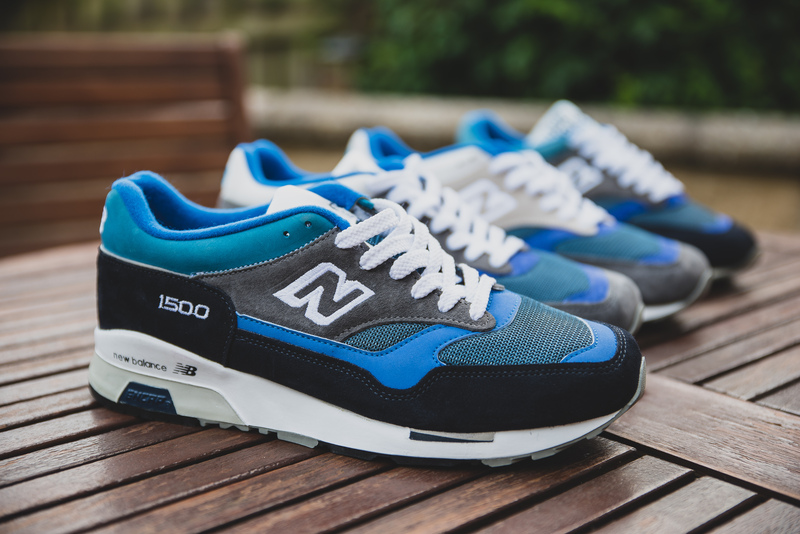 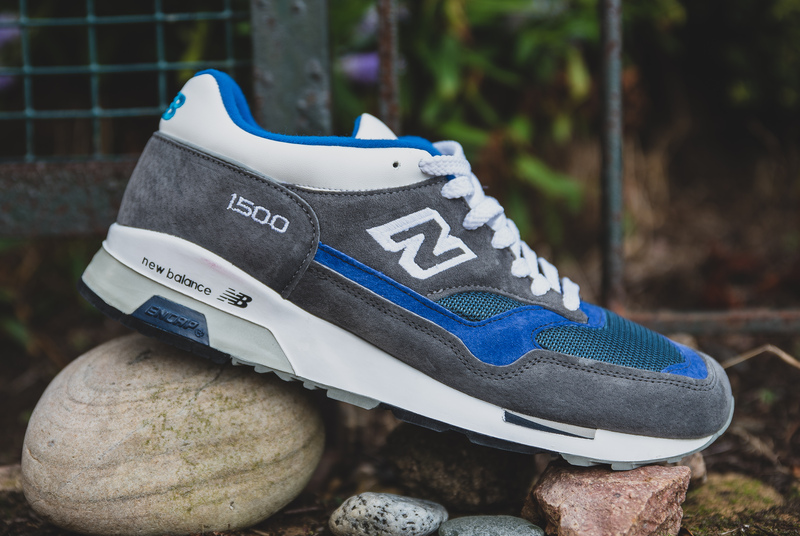 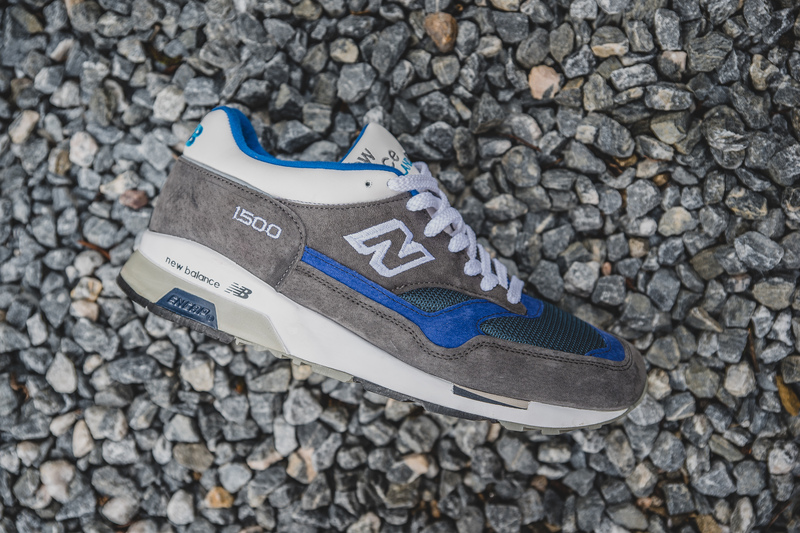 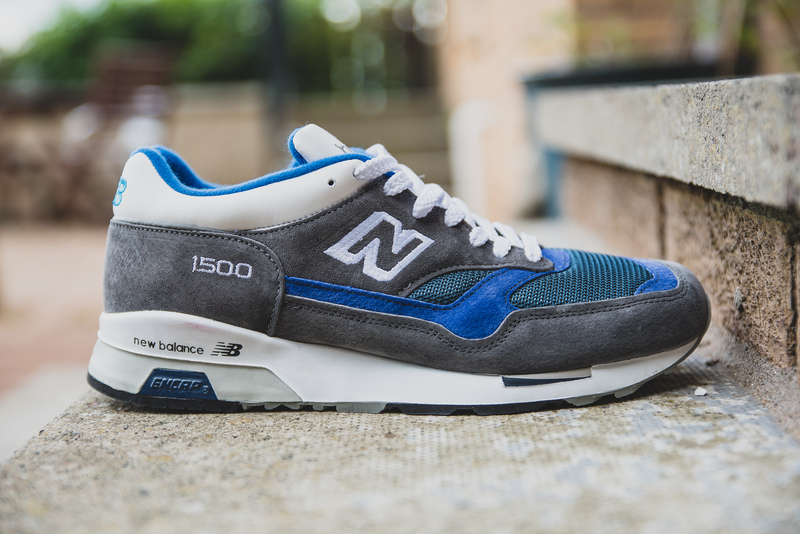 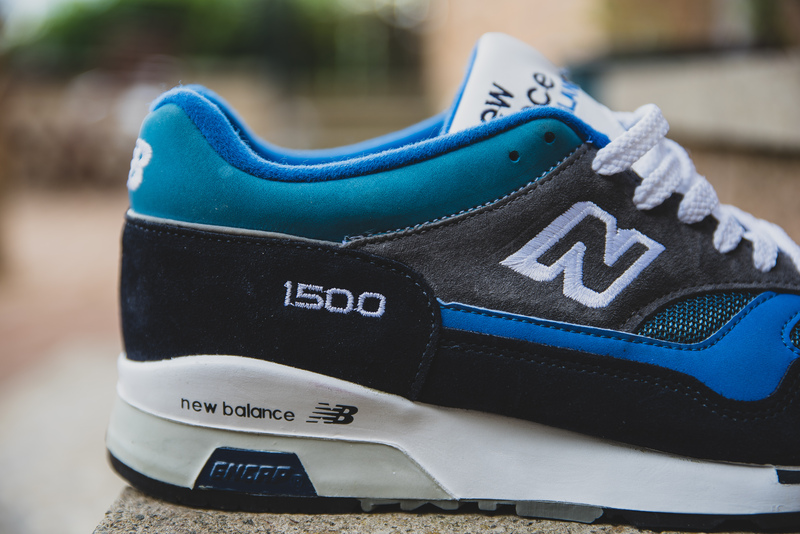 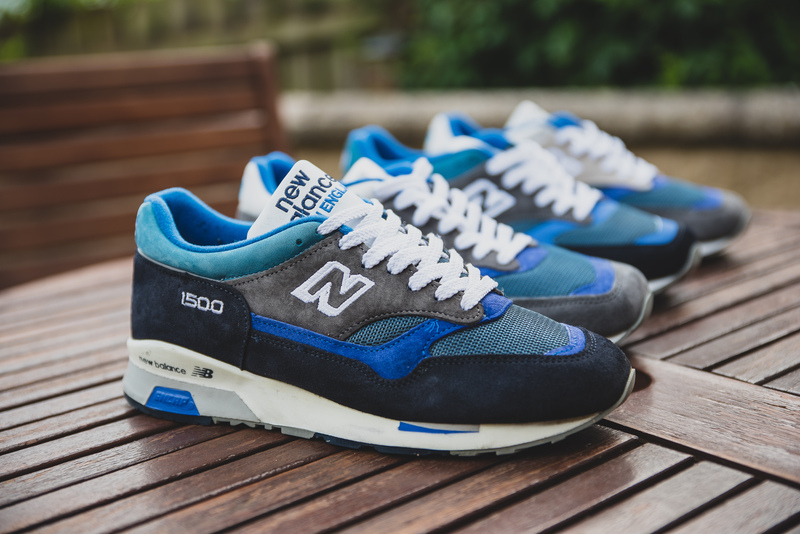 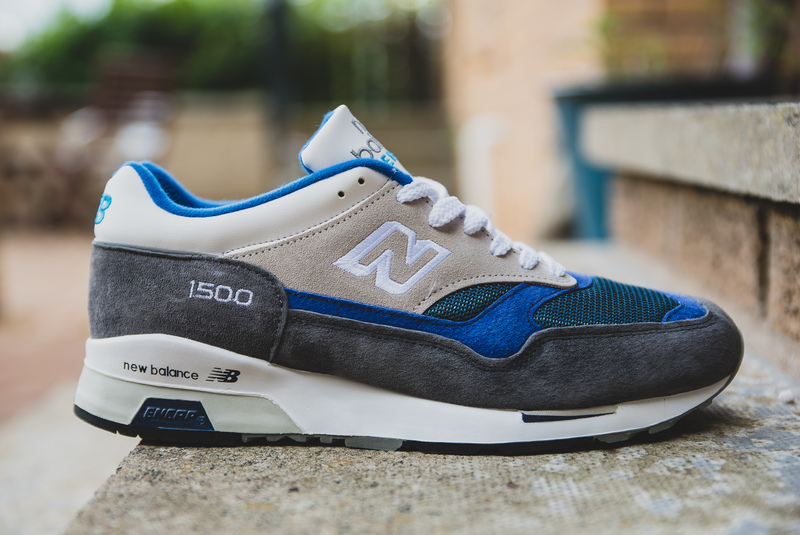 The New Balance 1500CHF is probably the biggest New Balance collaboration to release in the last three years, and for the first time, we get to check out hanon’s thought process on their way to releasing the final pair. 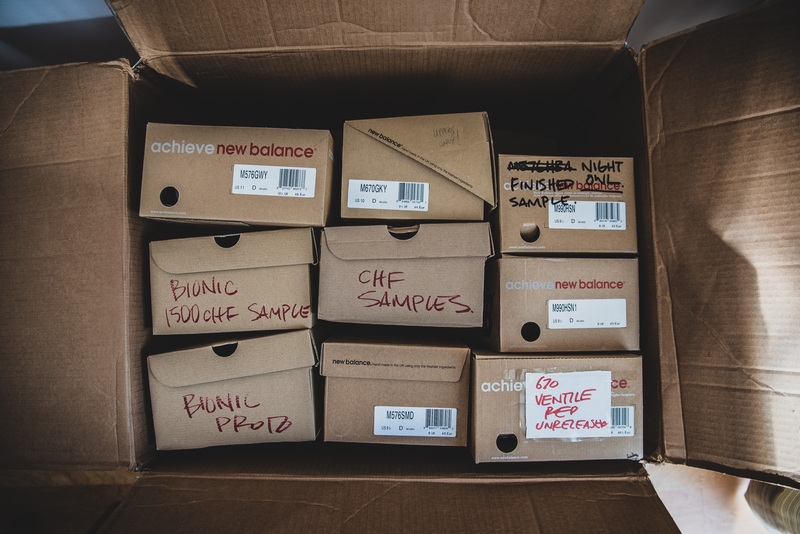 Every single one of these shoes are great, and I tried to cover all bases for each sample to be able to see the differences. 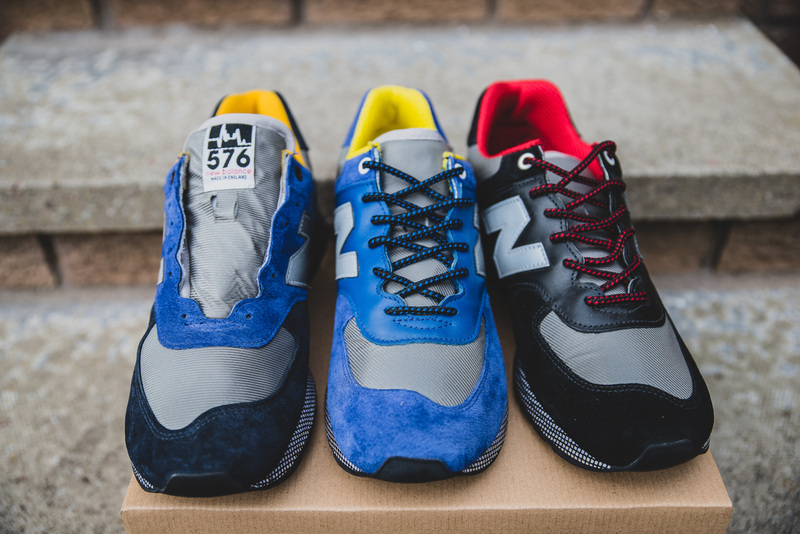 And of course, here is a round up of the three CHF samples along with the released 1500CHF.